In my previous message, I highlighted some of the many achievements and objectives of our directors and the committees they chair. Since then we have had other examples of how we are delivering on our strategic plan to increase CAP visibility and relationships with external stakeholders. Through the dedication and commitment of our Communications Committee and the CAP staff, the CAP was one of the first out of the gate with the Nobel Prize in physics announcement, including one of the Canadian connections. The result: a significant increase in our social media engagement on Twitter, Facebook and Website activity. The day after Prof. Mona Nemer was announced as Canada’s Science Advisor we hand delivered a letter of congratulations to her and invited her to attend and present at our 2018 Congress in Halifax. The CAP Advisory Council is a crucial link between our diverse membership and the CAP Board. In addition to the Division Chairs, the CAP has Regional Councillors representing 10 regions across the country, Membership Councillors representing full, corporate, graduate student members, teachers and undergraduate students, the Editor of Physics in Canada and representatives of the Congress Local Organizing Committee. We are working to create a better flow of information and ideas from the membership to the Board. We have formed a Governance Committee to formalize improved organizational structures and processes, Chaired by Mike O’Neill (former Director of Professional Affairs). Other improvements to our governance will be the addition of new or revamped Board committees for finance, audit & HR, nominations & awards, and equity, diversity and inclusion. High-level policies defining the CAP and Board organization and the conduct of CAP operational committees, technical divisions and working groups were approved by the Board at the fall meeting and will be available on the website in due course. Should you have any questions about the direction we are taking please speak to a member of the Advisory Council, Board or myself. A complete list of Board and Advisory Council members can be found at https://www.cap.ca/about-us/cap-leadership/. The CAP has set a target to increase the number of members and affiliates to 2020 by the year 2020. And we need you to help us achieve this goal. Our current membership campaign is focused on bringing lapsed members back into membership, and recruiting new physicists you may know – young professors, post-docs, grad students – into the Association. To push further forward, we are excited to announce a one-day national membership “blitz” and call on all of our members to help contribute to our goal. Mark Tuesday, November 7 on your calendar and use this opportunity to set aside some time to talk to the people around you who are not CAP members and invite them to join. Membership is essential to the sustainability of the Association. While larger societies like the APS can rely on other sources of income such as successful journals and large moneymaking conferences, the CAP relies primary on its dues-paying members for revenue. Thus each and every membership / affiliateship is important to us. Your engagement with the Association allows us to continue to successfully lobby Parliament, NSERC and other funding agencies on issues critical to physicists all over Canada, to organize an annual Congress that brings together physicists from all sub disciplines to network and to hear about advances in the broader field of physics, and to liaise with the international standards communities, such as IUPAP. We continue to support students at all levels by running prize examinations, awarding thesis/dissertation and science fair prizes, sponsoring conferences dedicated to both graduate and undergraduate students, and supporting student travel to conferences. We have introduced a membership category for high-school/secondary/CEGEP teachers to more deeply involve them in the affairs of the CAP. We have formed a partnership with The Personal Insurance Company to provide discounted home and auto insurance rates to Association members andto expand our insurance programs beyond the life insurance already available to CAP members through ManuLife. We have formed a partnership with Dell computers to offer discounted computer packages to members. We have launched a brand new website increasing usability and functionality for members to access the latest news and information. We are adding student-professional networking sessions to Congress to enhance the student experience. We have expanded our (CAPhys) Facebook and Twitter outreach; and more advances in social media and communications are sure to follow. Feel free to visit the Friends of CAP webpage or ask our CAP Membership Manager, Ms. Chantal Éthève-Meek at membership@cap.ca, to help you locate your local Friend, who can help you identify your colleagues who or not members of the CAP. November 7th is the Anniversary of Madame Marie Curie’s birthday, and also the International Day of Medical Physics. Consequently you are encouraged to approach any medical physicist colleagues and let them know of the strong medical physics presence within the CAP, which has a dedicated Division of Physics in Medicine and Biology (DPMB) and a joint membership arrangement between the CAP and the Canadian Organization for Medical Physicists (COMP). As well, any women physicists who are not CAP members would be encouraged to check out the CAP’s efforts to increase the representation and participation of women in physics through our Committee to Encourage Women in Physics, our support of the International Women in Physics Conference, the Women in Physics Canada (WIPC) conference, and the Canadian Conference for Undergraduate Women in Physics (CCUWiP). Our goal of 2020 members is only possible with a grassroots effort by our membership. We are an Association of physicists, for physicists. We hope you are willing to work with us to tell the great story that the CAP has to tell. We thank you for your efforts, and if you have any comments, thoughts, or suggestions about how to help us accomplish this goal, please feel free to share them with our Membership Manager at membership@cap.ca or with me at rehse@uwindsor.ca. Thank you. Are you interested in having a voice in the management of the CAP? Do you want to help define the priorities of your association? The CAP is currently seeking nominees for election to positions that are opening up in June 2018 on the CAP’s Board of Directors and Advisory Council. Deadline for the submission of expressions of interest is November 30, 2017.Nomination forms area available at: https://www.cap.ca/about-us/cap-leadership/call-nominations-2017-2018/ and must be signed by the nominee, who must be a CAP member, as well as two CAP members who support the nomination. The forms must be sent by e-mail, along with a short biography, to Chantal Etheve-Meek at capmem@uottawa.ca. Laura-Isabelle Dion-Bertrand, Application Scientist with Photon Etc. The campaign targets high school teachers across Canada and the CAP-F has been actively promoting these videos to them through a 10-week email and social media campaign that releases one video every two weeks. Our institutional members have also helped with the outreach, sharing the videos with their educator contacts. This campaign piggybacks the “Spot the Physicist” Poster campaign distributed to schools across Canada this past spring. Together, these efforts help to identify, connect with, and develop a relationship with high school and CEGEP educators across Canada and situate the CAP as a helpful resource for physics curriculum planning and execution. These videos are also an excellent resource for the University classroom to communicate with those obtaining a physics education some of the career opportunities available to them. We encourage CAP academic members to share these videos with their students and colleagues. We are pleased to announce that the Herzberg public lecture will be given by Dr. Nergis Mavalvala from the Massachusetts Institute for Technology. Dr. Mavalvala was a member of the scientific team that announced the first detection of gravitational waves from colliding black holes using the LIGO detectors in February 2016. In addition, Dr. Mona Nemer, Canada’s new Chief Science Advisor has been invited to give a talk; we are hopeful that she will be able to accept. Invitations are being issued shortly to potential speakers for our four technical plenaries. Our Division Chairs are actively working on developing their list of parallel sessions and contacting potential invited speakers. If you have suggestions for sessions and/or speakers, please send them to the Chair of the appropriate Division by November 1st (see https://www.cap.ca/divisions/ for the list of Chairs). 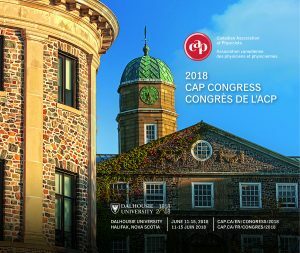 A general outline of the proposed structure for the 2018 Congress can be found at https://www.cap.ca/congress-conference/congress-2018/, and more program information will be added as details become available. Bookmark our Congress site to keep informed. This summer, the CAP asked for your help to encourage Parliament to implement recommendations from a powerful report (The Naylor Report) that includes many ideas and actions that evolved from broad nationwide consultations about fundamental science. In late September, one major recommendation was implemented: Dr. Mona Nemer was named as Canada’s Chief Science Advisor. The CAP looks forward to working with Dr. Nemer in this new role. Learn more about the responsibilities of the Chief Science Advisor by reading the Government’s press release. and information compiled by the Canadian Science Policy Centre. Phone your Member of Parliament and offer to take part in a face-to-face meeting. We want to make it easy for you, so you can view a step-by-step guide here. It is important for all CAP members to continue communicating the value of our science to everyday Canadians. A general public that appreciates the value of Canadian science will help make the case to MPs and Ministers that implementing the Naylor report will help Canada. Would you like to know more about the CAP’s role in shaping science policy? Are you interested in getting involved? Contact the CAP Director of Science Policy, Kris Poduska, for more information (kris@mun.ca). The CAP Lecture Tour is an exciting annual event for undergraduate students in physics departments across Canada. 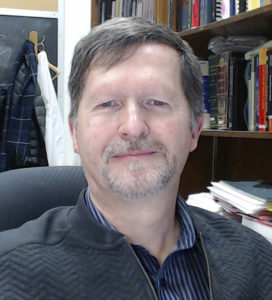 The tour’s main objective is to share current advances and cutting-edge physics with undergraduate students by supporting invited talks at Canadian universities around the country. Students have an opportunity to interact with leading physicists, and find out about careers in research. The tour allows departments to strengthen collaborations with the CAP, helps to increase the visibility of the CAP and promotes student memberships. The CAP Lecture Tour speakers are nominated by their department chairs or colleagues every year. Last week, the CAP invited nominations for speakers who can present dynamic, engaging and clear lectures on any topic in physics. In order to increase the engagement of non-academic physicists and provide career information for physics students interested in non-academic career paths, this year the CAP has once again set a goal of having at least two physicists working in industry included in the list of lecture tour speakers. A full list of potential speakers, together with an abstract of their lecture and a short bio will be posted on the CAP website by Wednesday, October 18. Student groups in participating departments will then be invited to select a speaker from the list by November 15. At the end of November, the Regional Lecture Tour Coordinators will send invitations to the chosen speakers. The Lecture Tour will take place between the months of January and April 2018. Lecture Tour dates will be posted to the CAP website once finalized. Help us make the 2018 Lecture Tour a success by nominating a speaker and promoting the tour among students.